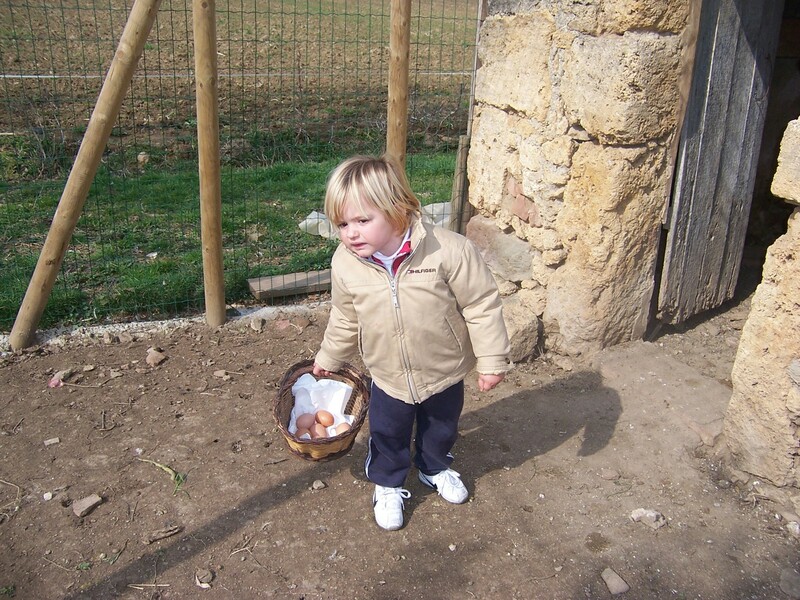 Visit the animals cows, chickens, pigs, rabbits, ducks… and have the opportunity of participating actively in a daily farmer’s tasks, like feeding the chickens, rabbits, ducks… collecting the hens’ eggs from the hen house. 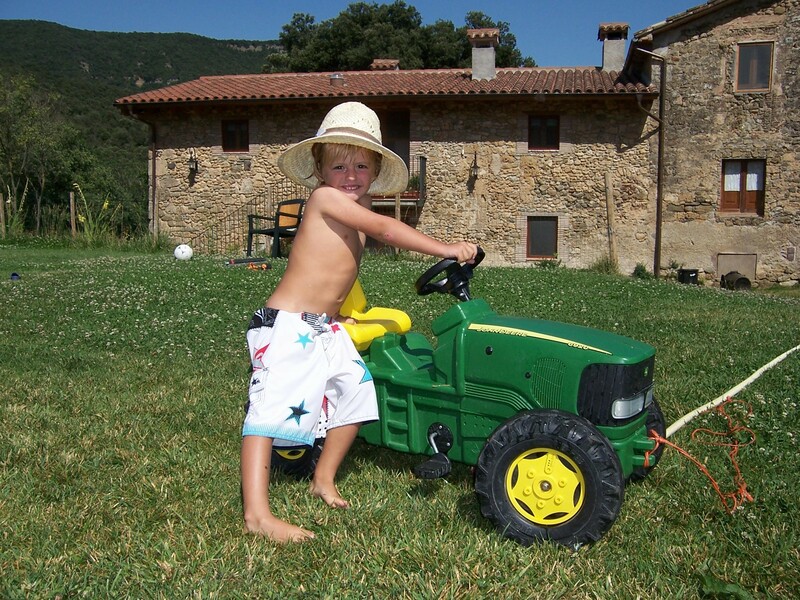 Long or short walks because the farmhouse is located in a privileged area, isolated from the city’s stress and cars’s noise. We recommend the following routes: visit the two castles guarding the valley Cogolls, the Hostoles castle and the Puig Alder castle. Both easily accessible with a nice walk. The first, retains a portion of the old castel structure. Concerning the Puig Alder Castle, it is only the old chapel, named San Salvador. Walk through any Cogolls forests, where they are oak woods, oak… and if you are lucky in autumn and spring you can find mushrooms! Serra de les Medes, where you can still find a group of farmhouses uninhabited. 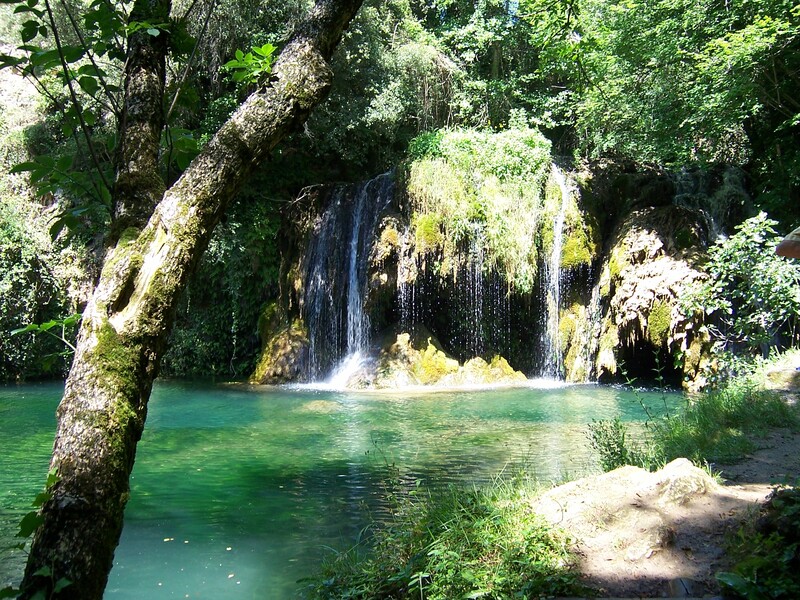 Due to the relief of the valley, in the course of the stream there are small and medium waterfalls, perfect for a swim in summer. Note should be made waterfalls calle Moli del Murris (at 1800 meters from the house). The water flowing down the jump is deposited in a large basal. Fontanil caves, beneath the cottage mime. This limestone cave has been formed in the course of time due to the amount of water passing calcified, forming a quantum leap. It is celebrated every second Sunday of October in Sant Pelegrí meadow, where before the popular rice (cooked by the residents of Cogolls) is a mass with the traditional sale of candles. And on Saturday evening there is a habana concert. Playing freely in the meadows. Hiking around the area of La Garrotxa. Naturalists and park activities in the natural park Visc entre Volcans. Visit the Romanesque church of Sant Cristòfol Cogolls X century and the hermitage of Sant Pelegrí XIX century. Horseriding The Curenya, one of the riding centers of Garrotxa. 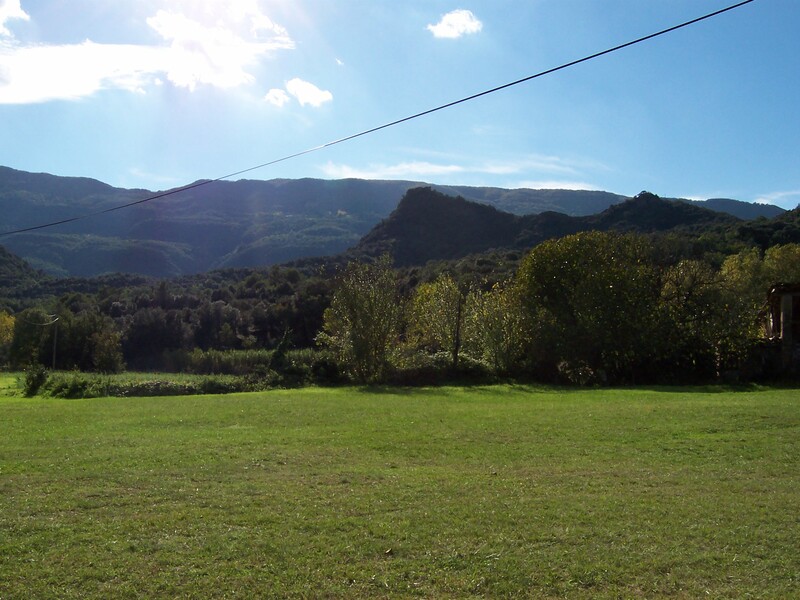 In Olot you can visit the volcanic area and La Fageda, or take a balloon trip.